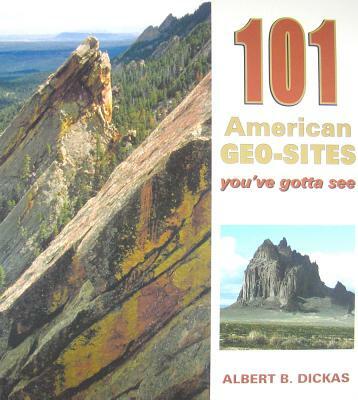 Examining in detail at least one amazing site for all fifty states, Albert Dickas clearly explains the geologic forces behind each one's origin in "101 Geologic Sites You've Gotta See." Dickas discusses not only iconic landforms such as Devil's Tower in Wyoming but also locales that are often overlooked yet have fascinating stories. Consider the Reelfoot scarp in Tennessee: to the casual observer it is nothing more than a slight rise in a farm field. Yet this subtle slope represents a rift formed during an 1812 earthquake that forced the mighty Mississippi Island, which actually caps an 8.5-mile-high column of salt. Amply illustrated with full-color photographs and illustrations and written in clear yet playful prose, 101 Geologic Sites You've Gotta See will entertain and inform amateur and seasoned geology buffs whether from an armchair or in the field.